Forced to operate from crisis to crisis, many nonprofits do not have a complete risk management plan. 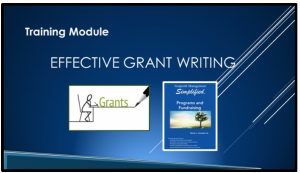 This training module provides you with sample policies and procedures for developing a risk management plan, as well as a risk management assessment tool. 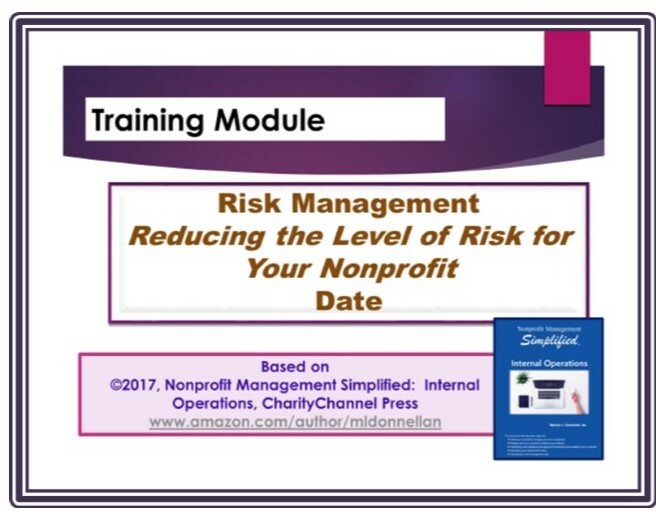 This training module is ideal for boards and staff of any nonprofit wanting to determine what and where their risks are. 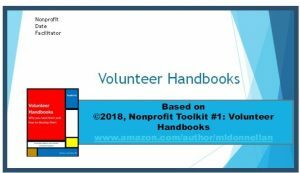 It even includes a risk audit. 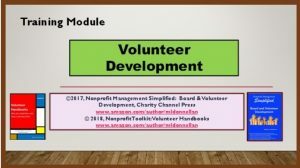 The PowerPoint includes instructor notes, a sample agenda and handouts. 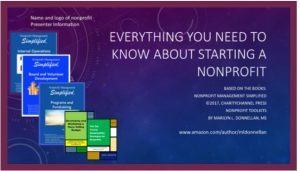 It is a companion to the book, Nonprofit Management Simplified: Internal Operations.